Education takes place in many forms. Today we can Google or YouTube just about anything we are interested in learning more about. I have done several religious studies taking me to Europe and Asia, but I’ve never quite been able to apply the practices I observed to my life. I went in search of some ways that sacred texts are looked at through diverse lenses and what I found would be beyond anything I could imagine. Some Harvard Alumni had gotten together to look at the Harry Potter series as a sacred text and created a podcast that looked at different sections of the books through diverse religious practices. I wanted to take a moment and spotlight what the folks from Harry Potter and the Sacred Text are doing as an example of the diverse work Harvard Alumni are doing. Vanessa Zoltan, a Co-Host, wrote to us about the project. 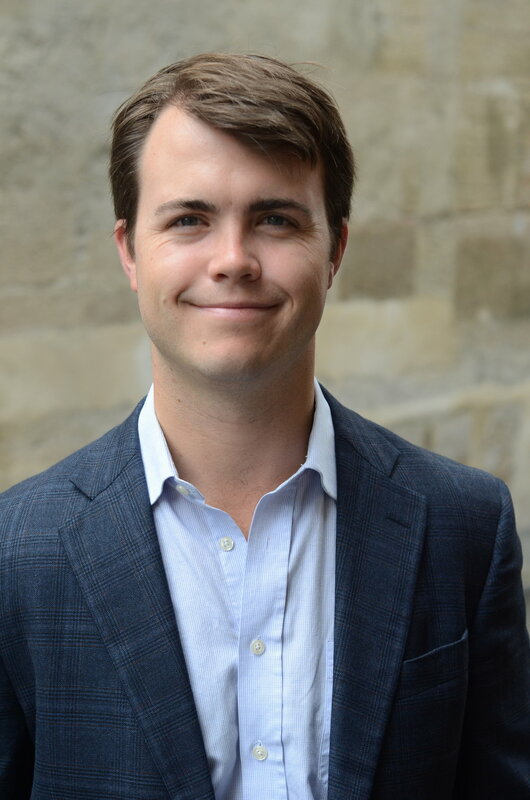 “Since I graduated from Harvard Divinity School in 2015 I have been working on treating the Harry Potter series as a sacred text. First, my co-host, Casper ter Kuile and I gathered people on Wednesday nights for a class. It ran like a bible study. Only we weren't using the bible; we were using a book almost as popular; Harry Potter & the Sorcerer's Stone. After going through all seven books, using Judeo-Christian spiritual practices, blessing characters and inviting people in our class to give sermons about a boy-wizard, we launched a podcast. Harry Potter & the Sacred Text launched in May of 2016. We now have about a million downloads a month and 27 groups meet all over the world to treat the Harry Potter books as if they were sacred. This whole project is based on the idea that the most important part of treating a text as sacred is the community. You need people who show up and say, 'yes, I also think that this is sacred." You need a gym buddy, who you go to class for because you don't want to disappoint them. You need someone who will hold your hand when you start crying, because Harry's mom coming back from the dead makes you realize how much you miss your mom. These groups have nearly nothing to do with us. Some meet weekly, others monthly. They are started by fans of the Harry Potter series who feel as though they have been given a vocabulary to do something that they were already doing with midnight release parties, traditions of rereading certain books on certain anniversaries and tattooing, "lumos", onto their bodies. “Freedom from the desire for an answer is essential to the understanding of a problem,” wrote J.Krishnamurthi, the well-known Indian education philosopher, who lived from 1895 to 1986 and founded a number of progressive schools in India. On September 22nd and 23rd, Harvard alumni in education gathered together at The Valley School, one of the schools founded by J.Krishnamurthi. On the outskirts of Bangalore, nestled amidst a verdant forest, The Valley School and its attached study center is a perfect place for a retreat. Walking into the beautiful campus, with its lush greenery and its range of colorful birds, I could feel myself relaxing and recovering from the hectic noise and traffic of Bangalore. We began the retreat on Saturday evening with a moderated session on “What we see as the central problem in education.” Although we initially located the problem outside of ourselves – our exam-oriented school systems, the mindsets of teachers and parents, the lack of engagement and deep learning in classrooms across the country – the conversation eventually turned inwards. Perhaps we had to start by questioning our own conditioning, by thinking about ourselves as educators. True to the Krishnamurthi philosophy, we explored the questions instead of the answers. Sunday began with meditation and a nature walk, followed by moderated sessions about what makes a meaningful education. While the moderated sessions were very interesting and thought provoking, for me the most exciting part of the retreat were the informal conversations with other HA Ed members. On Saturday night, after our session, we ate dinner together and stayed up late talking about the inequities in our education system, the responsibilities that come with our own privileges, and the contradictions and paradoxes we all live with every day. It was a wonderful way to get to know other HA Ed members -- not through superficial social talk but through rich and layered conversations about issues that we all wrestle with. 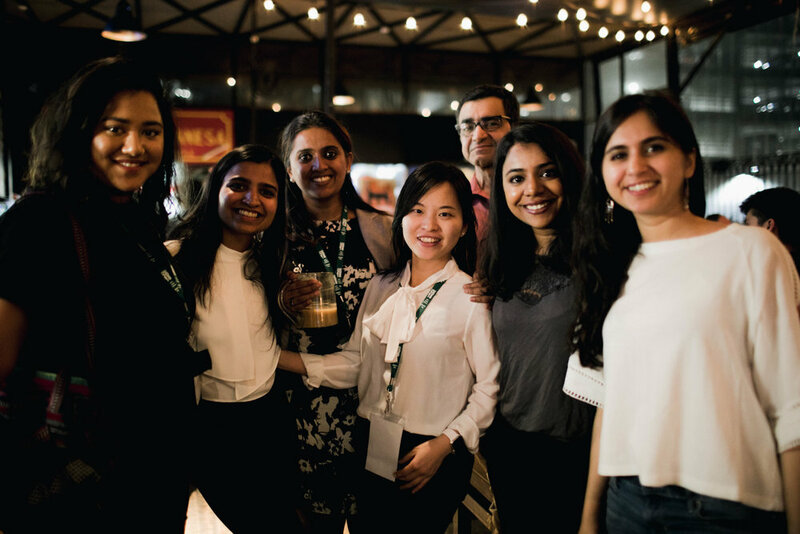 The HA Ed India chapter’s mission is to help alumni form deep and meaningful relationships with each other around our shared commitment to education – this certainly seemed to happen at our retreat! We are happy to spotlight HAEd member, Liz Grossman Ed.M. ’13. Liz Grossman is a social entrepreneur passionate about promoting equitable collaboration between the United States and Africa. 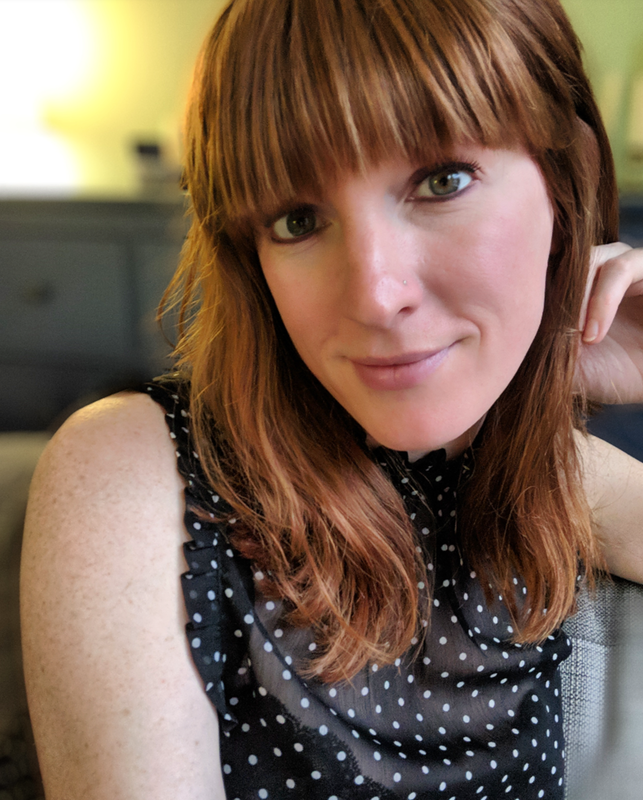 She helps leaders, nonprofits, companies and academic institutions build inclusive programs, share stories and scale their impact through strategic communications, branding, facilitation and training. With my eleventh grade students who organized United Nations Day at school, October 2011. I started my career as a high school teacher in Dakar, Senegal in 2009. The bilingual school, owned by a Swiss couple, hired at least four American teachers every year fresh out of college to teach alongside a majority Senegalese faculty, staff and student body. I experienced the need for educators to understand the cultural contexts of one’s colleagues, students, bosses and parents in order to succeed. I learned the importance of delivering your messages based on the receiver, not on the preconceived notions of the sender. This job encouraged me to do my masters in International Education Policy from the Harvard Graduate School of Education from 2012-2013, putting my micro level classroom experience into a macro framework that intersects education, communications and social entrepreneurship. One of my biggest takeaways in the program was those who make policy drive society, and if they do not understand and respect cultural nuances, programs and policies will fail. Policymakers must be inclusive to local stakeholders, from the national to grassroots levels. During my time at Harvard, I was the Chair for the Harvard African Development Conference, and brought President of Senegal Macky Sall to speak at the JFK Forum at the Institute of Politics. While the foot of snow was not the ideal welcome, it did permit me to give a personal tour of Harvard Yard and the Harvard Business School to the Ministers of Education, Higher Education, and Good Governance. I was lucky to hear directly from those who make Senegalese education policy. They corroborated that my capstone project from Professor Fernando Reimers’ social entrepreneurship course, Cybraries, would support their government’s objectives, and so I decided to pursue it. Welcoming His Excellency President Macky Sall at the Harvard Africa Development Conference, March 2013. Momar Dieng (SpecialAdvisor to the Minister of Education), Liz Grossman, Serigne Mbaye Thiam (Minister of Education) Abdou Latif Coulibaly (Minister of Good Governance) and Mary Teuw Niane (Minister of Higher Education) at the Harvard Business School after our trek across campus in the snow. Cybraries sought to build technology centers to leverage IT training to develop 21st century skills for youth in Dakar Senegal to improve academic and professional achievement. I launched a crowdfunding campaign which raised enough money to buy my ticket, three month visa and accommodations in Dakar. I moved back to Senegal to knock on Ministers’ doors and see what we could start. I was able to make some progress, including being hired to work on the launch of Senegal’s first online public university, and developing a workshop for Google’s Gdays to teach university students how to use Google for academic research. Presenting Cybraries and teaching internet skills at the GDays Summit organize by Google Senegal. December 2013. Despite the progress, I knew I had a lot to learn about running an organization, so I accepted an opportunity to work at Tostan, an NGO headquartered in Dakar. The organization had offices in 7 countries with over 800 staff and was renowned for their work in rural communities delivering nonformal human rights education programs across West Africa. After three years working in an international team, I saw how critical intercultural team building and professional development is. This can be particularly challenging when staff is differentiated by their local and expat status, unless they are given proper training and facilitation meant to understand and address one another’s realities. Hosting an event with Haingo Rakotomala and Birima Fall at the Tostan Training Center in Thies, Senegal. June 2016. In 2016, even though I loved my life in Senegal, I decided it was time to face reality at home. Back in the United States, people not only had gross misconceptions about the continent of Africa, but about ourselves as well. And especially in the current political climate dominated by a nationalist narrative, we must push to develop the next generation of global citizens. In the US, there are significant gaps when it comes to access to true diversity, and fake news allows the stereotypes that Africa needs our saving to be perpetuated. On the other side, the mentality on the ground in many African contexts which has been perpetuated by the NGO/charity system is that foreigners bring money to fix problem. It is my belief that Americans should be investing in business on the continent, which will not only create jobs and boost the economy, but also promote social impact. And Africa is ripe for investment, with a large, entrepreneurial youth population, with 22% of the youth workforce starting businesses, and 20% of African entrepreneurs offering new products or services. The time is now to invest, and to make good deals, you must consider local cultural norms. The Baobab Consulting team, Emma Giloth, Michael Ibonye, Pumla Maswanganyi and Thomas Gallemore. Social Capital Markets Conference, San Francisco, October 2018. In September 2016 I decided to dive in full time at Baobab Consulting, the company I co-founded with a mission to promote mutual understanding and equitable collaboration, and amplify the voices of those doing impactful work on the continent. We have nine team members spanning North America, Europe and Africa. Our goal to change the narratives and practices which hinder successes on both sides. We offer world class branding and PR services, build communications strategies, facilitate and advise on building inclusive projects, and deliver customized cultural exchange programs across Africa. Former President of Malawi Dr Joyce Banda delivering the keynote address at the Maternal Health Symposium at the Harvard Chan School of Public Health. September 2018. I believe that through Baobab Consulting, I can contribute my skills and experiences to build positive relationships to change the way Americans and Africans work together. We recently led an exchange program in Senegal called “Developing Entrepreneurship for Intercultural Collaboration,” where 13 high school students from Rochester, New York worked with their Senegalese peers to build social business ideas. We provide the tools for our clients, who are students, teachers, business owners, international organizations and world leaders, to increase their cultural knowledge of their counterparts across the world so they can build a positive image, build effective teams and achieve their financial and social goals. I have been privileged to learn from the world’s best. During my time at Harvard, I walked the same paths as Presidents, CEOs, Nobel Prize winners. I have been welcomed into the homes and workplaces of community leaders, entrepreneurs and public figures across Africa. 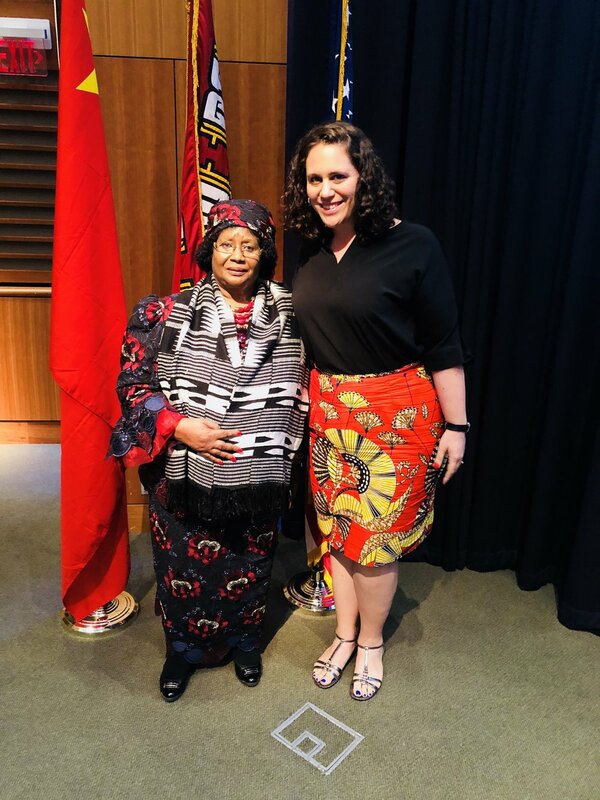 I have worked for Her Excellency Dr. Joyce Banda, the Former President of Malawi, and have heard her plead her case for education and smart international partnerships, and even brought her to speak at Harvard this past September. This privilege comes with the responsibility to share this knowledge to create global citizens and further opportunities for young people to collaborate, in the US, Africa and across the world. HAEd provides a forum for alumni from all schools, disciplines, and professions to share field expertise, research, and ideas. HAEd encourages engagement, cross-sector partnerships, professional exchanges, and mentorship opportunities for members of the Harvard alumni community. HAEd empowers Harvard alumni who are parents, professors, policy makers, and so much more, to make a difference by bringing them together in both conversation and action. 3 Fun Facts: I was a competitive ballroom dancer in college. I student taught on the Isles of Scilly in England. I have an adorable tuxedo cat named Asimov. Why did you join HAED? I love meeting and working with people who are passionate about education, and when I moved to the Detroit area, I was disappointed that Detroit didn't have an HAED chapter. I met Mary when we both volunteered for a HGSE Admissions event, and I was excited to hear that she was starting a local chapter. What do you hope to achieve through HAED? I hope to learn more about the impressive work being done to support education and literacy throughout Detroit, within both formal and informal learning spaces. How did you get involved in education? I knew that I wanted to be an educator since I was in high school. A love for literature and a desire to work with students led me to start my career as an English teacher. I'm inspired by the authors who are speaking truth to power through their young adult novels that explore current issues facing our teens, and I hope that educators will make space for these incredible stories in their classrooms. What is the most memorable experience you remember from your time at Harvard? During S308: Models of Excellence, I interviewed students from King Middle School in Portland, Maine, about Small Acts of Courage, an incredible project that honored unsung civil rights heroes in their community. This course introduced me to Expeditionary Learning, which helped to inspire and shape my philosophy of education and my belief that students can and should be doing exceptional work that impacts their communities. Check out this video of Small Acts of Courage, and visit modelsofexcellence.eleducation.org to explore inspiring examples of student work. What advice do you have for other Harvard alumni? Be open to new opportunities. When I was at HGSE, I expected to teach for several more years, but I'm grateful for the path that led me to my current position. Every day, I learn something new about leadership, instruction, and districtwide urban education reform, and I'm excited for the future of education in Detroit. I love traveling to visit friends and explore new places. Hiking and yoga are my favorite ways to stay active. The Guardian Building is my favorite Detroit skyscraper. I want to connect with other alumni who are working to improve education, especially in my home state of Michigan! HAEd provides a great way to meet and work together for change. A community of local alumni who are continuously learning and contributing to the work ahead in Detroit - and across the state of Michigan. I began as a classroom teacher and now work in education research, policy and advocacy in Michigan. My focus is on improving equity in education and better connecting educator expertise to the policy design process. I am inspired to be back home in Detroit! Our region's long history of leading in innovation - in mobility, music, manufacturing, and social movements - makes me confident that together we can address the historical challenges and inequities of our education system. Detroit can lead innovation in education as well - and show that equity and excellence can both be done at scale. Attending different talks around campus! It was great to hear from speakers with such diverse life experiences and perspectives on education and politics. The most important part of being a Harvard student is what you do once you are no longer on campus. How can you use the knowledge and skills you learned at Harvard to serve your community and improve learning opportunities for others? 3 Fun Facts: (1) I used to work in the education department at a zoo; I was the person who went around to all the elementary schools dressed in all khaki, with animals hanging off me. (2) I once went on a date with Jeff Goldblum (pictorial evidence provided upon request). (3) I'm a living kidney donor--ask me about it sometime! I have devoted my entire professional life to improving outcomes for students in Title I public schools. 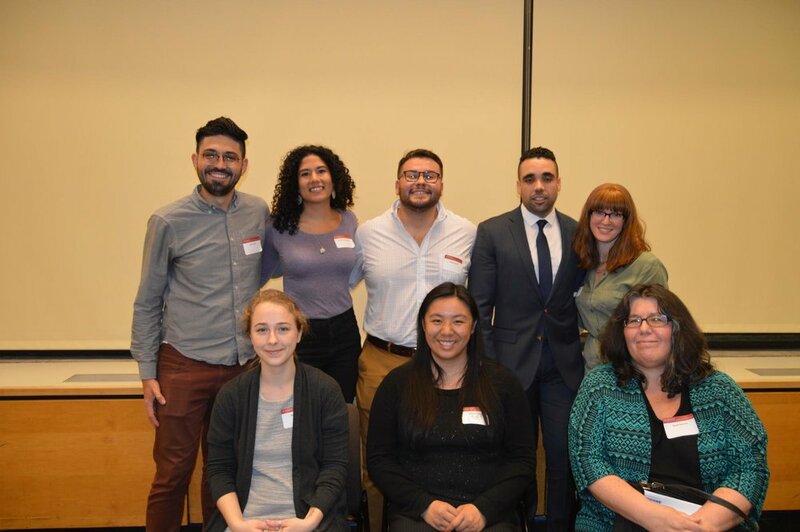 Co-leading the Los Angeles chapter of this SIG is an important part of continuing my work to ensure every child has access to high-quality public education by allowing me to connect with local colleagues doing important work in the field of education. Meeting and collaborating with awesome human beings. I had a life-changing English teacher in 8th grade; I vowed to grow up to be just like him. Seeing my former students' amazing lives on Facebook. I had the worst fall of my life on the cobblestones of Garden Street. I may have been running...in the rain...in heels. I moved around a lot growing up, spending time in New York, Texas, California, Oregon, and Massachusetts. I attended public and private schools, including Montessori and talented and gifted programs. And I had close family attending school in another country, India. So from a very young age, I directly experienced how much varying educational resources and quality impacted a kid like me. At 16, I was admitted to Harvard. My first year, I took a public economics course with Raj Chetty and Marty Feldstein, two amazing teachers and mentors. Education, they convinced me, is the path to universal opportunity. Moreover, it may finally be on the precipice of reaching this ideal, as it draws on advancements in a wide array of fascinating fields: public policy, psychology and neuroscience, economics, and data science. After four years, I left Harvard with a bachelors and masters in a combination of math, economics, and education. During and since, I have expanded my education expertise and impact through many different roles: federal policy development in the Obama and Trump White Houses, senior and founding roles in multiple education-related nonprofits, volunteer teaching and mentoring in seven countries, education-related economics research at Harvard, and organizing and representing youth in a variety of capacities. Today, I work on education policy and advocacy at a Washington, DC nonprofit. As the vice chair of the U.S. National Commission for UNESCO Youth Working Group, I also create opportunities for young people to impact the world around them. And I run a mentoring program that connects rising Harvard freshman with alumni. I have been fortunate enough to have been recognized nationally and internationally for my work. I have advised city officials in the US and China on youth civic engagement, written op-eds, and been invited to speak in various capacities. Among other honors, I was named an Outstanding Women of the Year by India New England News and a Global Shaper by the World Economic Forum. There are myriad, and I am still learning something new every day. But the lesson that stands out the most is to be bold. Had I never dared to believe that Harvard could admit me, I would never had applied and gotten in at 16. And today, if we do not dare to believe that we can achieve universal quality education, we never will. More generally, it is not about how many times you succeed: it is about how many times you were bold enough to try, fail, and do it again. What is missing from what I have accomplished are the hours spent on ideas that went nowhere; dozens of applications that were rejected; myriad times I reached and failed; and people who never wrote back. A lot in this world is out of our hands, but we can still spin our own luck: by giving ourselves chance after chance after chance to play. Tying this back to education, it deeply concerns me that a lot of our education system seems to be teaching kids the entirely opposite lesson. Most schools still harshly penalize students for failing, assigning them fixed, poor grades which translate to poor GPAs which are then penalized in future application processes. Unsurprisingly, many students balk from taking challenging, fascinating courses and learn to interpret failure as a definitive end point instead of an indication to try again. Instead, we need to inspire and empower them to be bold. You were a staff economist at the White House Council of Economic Advisers. What was that like? Incredible. I had the opportunity to cover education and other topics related to economic opportunity. It is hard to describe the thrill of spending your days in a supercharged, fast-paced environment; surrounded by people you deeply admire and like; influencing decisions with incredibly large-scale impact; and driving towards a dream you deeply believe. We made far less money than we could have elsewhere; worked far more than we were paid for; and learnt to check our phone every few minutes, even in the evenings and on weekends. But there are few other places where a 21-year old could choose and write a daily economic briefing for the most powerful man in the world, brief top officials, meaningfully engage in policy deliberations, write public-facing White-House-branded white papers, serve as a bridge between academia and policy, and witness a historic presidential transition up close. Although I am still waiting for someone to correct me someday, to the best of my knowledge, I was the youngest full-time Obama White House staffer. Similarly, there are few places where you want to spend more time with people you have just worked a ridiculously long week together with. 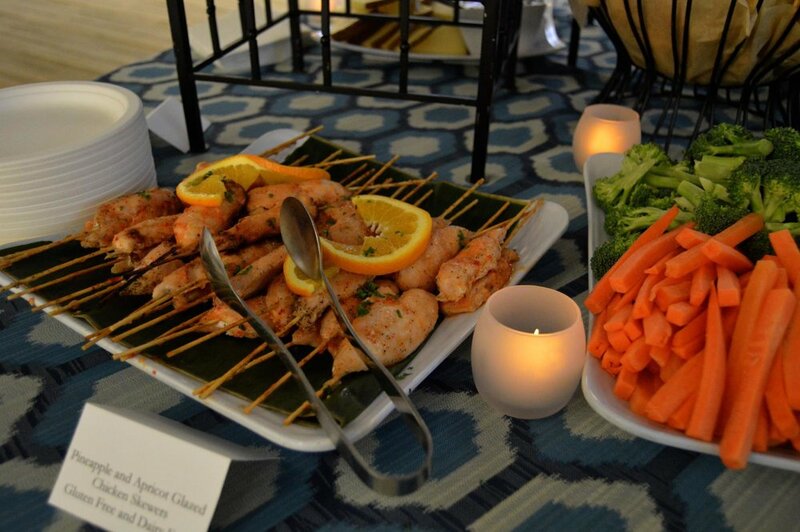 But my cohort got dinners most Fridays and remain among my closest friends. What advice do you have for those interested in getting into education policy and/or advocacy? 1. Do it. Education is an odd field in that virtually everyone is intimately submerged in it five days a week for the majority of their most formative years, inevitably develops strong opinions on the efficacy of various strategies, then witnesses how it impacts them for the rest of their lives. Yet, a surprisingly small share of the population elects to enter the field. Without more talent, our progress is sharply constrained. 2. Surround yourself with good people. There are three reasons this is important. First, research tells us we reflect the people we spend time with, from our mood to our beliefs to our actions. Second, collaboration improves everything from ideation to impact. Build a community of friends and mentors who you can give ideas to and take ideas from. Third, policy and many other areas unfortunately still work largely through connections. This is compounded by unpaid internships and relatively low paying careers, making policy a daunting field for those with large financial obligations. So it is often your networks which will best lead you to a role. 3. Even if you cannot pursue a career in education policy and/or advocacy, there is still a lot you can do. For instance, I led my team at the US National Commission to UNESCO Youth Working Group to launch YouthCan, a platform of resources of those under 30 looking to become more civically engaged. Feel free to reach out if there is anything I can help you with anything. What are some of the issues you’d like to see addressed in education? Ha. How many can I pick? For several years now, I have compiled such ideas in a google document, which is currently 47 pages, including links to several other equally long documents. Let’s say I had three wishes however. First, invest more in early care and education. Research tells us early years are the most critical to development, yet they are grossly under-supported. Parents have the least earnings, savings, and credit when their kids are the youngest, and the public invests 76 percent more per teenager than infant or toddler. The devastating result? By kindergarten—the relatively arbitrary bound we often set for universal education—academic and social gaps are well-established and fail to close in later years. Instead, we need to extend our concept of a universal right to quality care, development, and education back to birth. I have written about this in more depth here. Second, make teaching a prestigious job by paying teachers more, at the same level as doctors, lawyers, and programmers. We know the impact of education. We have identified teaching as the most important level that we can actually pull. Yet, we treat teachers as low-skill labor and then act surprised when kids perform poorly. Dramatically increasing teacher salaries will attract top talent and adequately compensate a high-skill, high-stress, high-impact profession. Like many of you, I have had teachers that changed my life, and it is ridiculous we do not value them accordingly. Third, make more evidence-driven decisions. Like any field economics concerns itself with, education is a game of scarce resources. It would easy if we could invest in everything. But given limited funds, do you invest in K-12 education or higher education? Do you distribute additional funds to all students or just the most needy? Do you improve technology or counseling? Better data and robust research can help us understand the education production function, answer these questions, and identify the most effective interventions. For instance, recent research has highlighted the success of an array texting and mentoring programs at the early through higher education levels. Leading the design and implementation of large-scale solutions towards universal opportunity, particularly related to education. There are many possible ways to do this. For example, it would be a privilege to run an organization that uses evidence-driven techniques to take such solutions end-to-end, including ideation, evaluation, replication, and national or global scaling. For instance, a potential idea that could be implemented and evaluated is regularly awarding a large number of top-performing teachers an award or tax credit of $25,000 each. A promising idea that is being evaluated and replicated is providing students mentoring and wrap-around services, such as via Project ASAP, which doubled graduation rates at the City University of New York and is now being replicated in Ohio. And a proven idea that is being scaled is state-funded preschool systems, which now cover 1.3 million 4-year olds in 43 states. But the advancement of such solutions is currently adhoc and irregular: a larger-scale, more systematic vehicle is needed. This can be best done through policy or through organizations such as the Gates Foundation or Chan Zuckerberg Initiative. I am a ninja-in-training and learn a combination of krav maga, grappling, and boxing. Also, for the past year, I have been on a mission to do something new (and exciting) every week. I have skydived and trapezed, ran 10 miles and modeled, quit my job and joined a startup. Suggestions and escapade partners welcome! This interview was conducted by Merisenda Alatorre, HAEd's Communications and Marketing Director. (3) In six months, I've been on every line of the LA metro, something that even many long time Angelenos haven't done! To collaborate and learn from an amazing set of peers. A local community that keeps its members motivated to do the work we do. Initially to escape the world of consulting, I found my calling in the classroom and have continued to explore different roles. The stories of my former students. What advice do you have for other Harvard alum? Mentorship Comes From Unexpected Places, Are You Open To It? Like most recent graduates, I had many questions about how to find a mentor and what a mentoring relationship should look like. Should my mentor be someone in my field that I want to emulate? How do I get exposure to that ideal mentor as an entry level employee? I had unrealistic assumptions that a mentor figure would check in regularly about my career challenges and goals, with near therapist-level active listening skills. The more I thought and read about mentorship, none of this seemed right, but I wasn’t sure what was. Mentorship went from the back of my mind to the forefront as I began planning the HAEd Boston Chapter’s second annual commencement event. 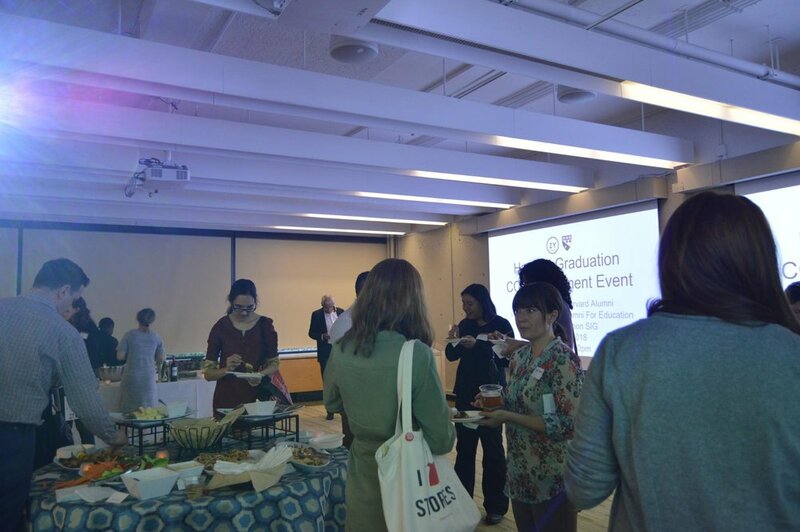 I worked with Crystal Rose, my HAEd Boston Co-Leader and Anissa Conner from the HGSE Alumni office, to envision a way to celebrate 2018 graduates and to connect them with alumni in a meaningful way. Mentorship became the theme that tied the groups together. Crystal invited Carlos Watson, the CEO of OZY Media, to share his insights on mentorship with the attendees. 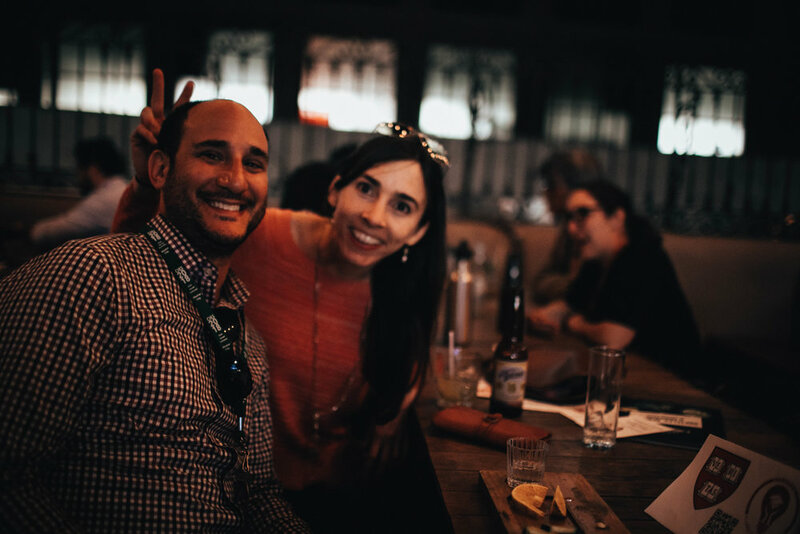 In this video, Carlos shares his experience with mentorship and encourages everyone to be open to mentorship from unlikely places. He describes his experience with “angels,” people in the periphery of his life who were willing to help him make connections, even when he didn’t understand why. This insight enabled me to breathe a sigh of relief. I did not need to focus on finding one ideal mentor, instead I needed to shift my mindset and remain open to help, insight, and advice from unexpected places. After launching the event with this message, Crystal and I gathered a group of volunteer mentors. These mentors were our colleagues from the Harvard First Generation SIG and a diverse group of Boston-based alumni across fields, schools, and graduation years. 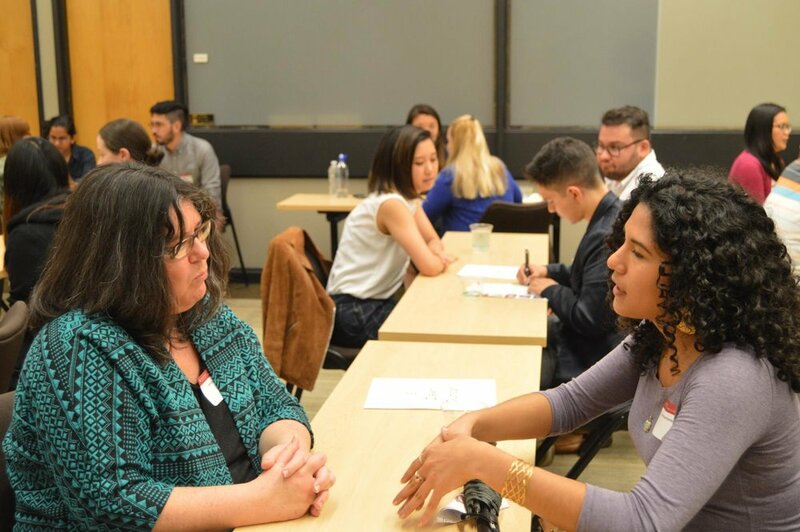 After having each of our mentors introduce themselves, we set up a speed dating session and had the attendees rotate in small groups to speak with each mentor. The room quickly buzzed with conversations and laughter. During that time, I met students and recent graduates from across many Harvard schools - all passionate about having an impact on the world and connecting with others. It was an incredible place to be. The buzz of conversation lasted far beyond the closing of Gutman Library. I enjoyed connecting with others from HGSE, OZY Media, HAEd, and FirstGen SIG to provide a platform for connections to be made and for mentoring relationships to spark. 3 Fun Facts: I love running, am always looking for somewhere new to travel, and have bungee jumped over Victoria Falls. Current role or job: Project Facilitator at the Clark County School District. I develop professional development programs and activities. 3 Fun Facts: I love to crochet. I’m obsessed with unicorns. I believe in magic. Gowtham, a cheerful 13-year- old who has enrolled in one of our after-school Math programs, suddenly goes quiet while his fingers slowly scan the question posed to him. “Tell me what number is this?” probes his teacher pointing to the number ‘123.' In a halting voice Gowtham finally responds, “Ma’am it’s One-Two- Three." Gowtham is already in 7th grade but cannot even recognize a 3-digit number; something he should have mastered by grade 3 or 4. I am sad but not surprised. Gowtham is not alone. Over 200 million children go to school in India, but leave without learning much in way of understanding concepts and problem-solving skills. Every year, for the last 10 years, the Pratham (a leading Indian NGO) ASER report keeps hammering in the fact that fewer than half of lndia’s less fortunate children in government and low-income schools in grade 5 could properly read a text written for grade 2 pupils. Over the last few decades, schooling has expanded yet learning has not kept pace. Billions of dollars in expanding school infrastructure, teacher training and technology hardware has not shown much impact at scale. Erica Mosca is the Founder and Executive Director of Leaders in Training (LIT), a Las Vegas based non-profit that empowers first-generation college graduates to become diverse leaders that change the world. Leaders in Training offers four years of free tutoring, SAT prep, and leadership training for high school students. In return, the students pledge to return to Las Vegas and/or become stewards of their communities. As a proud first-generation college graduate herself, Erica is passionate about social justice and education. As of today, Leaders in Training has 8 formal programs, 100+ students, a 100% college acceptance rate and a 100% college persistence rate of all students who started higher education. On April 30th, 2017, Harvard Alumni for Education met with Del Seymour, Founder of Code Tenderloin, a non-profit organization that helps the formerly incarcerated, homeless and similarly marginalized residents of the San Francisco community develop job readiness skills and find work.